Inspired by the provocative artist, Andy Warhol, the Andy Stool by Ottiu will make a fun addition to a bedroom or dressing room suite. 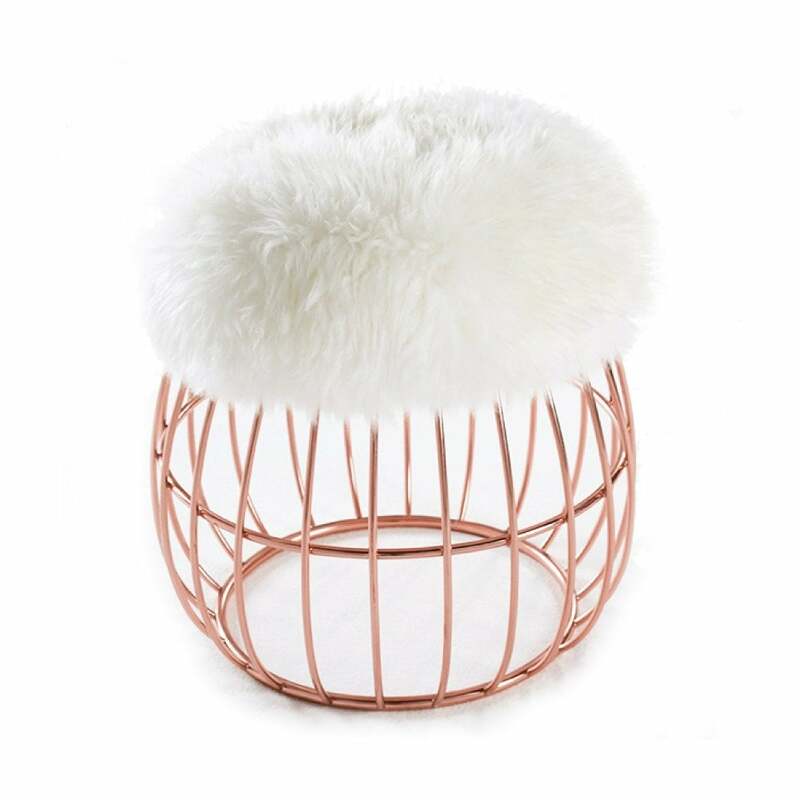 The artistic combination of a polished brass or copper plated structure with genuine sheepskin creates an on-trend look perfect for any design lover. Influenced by mid-century modern design, this best-seller can also be upholstered in a range of fabrics. Get in touch with our team for more information and advice. Priced for Upholstery: Genuine sheepskin. Structure: Polished brass.